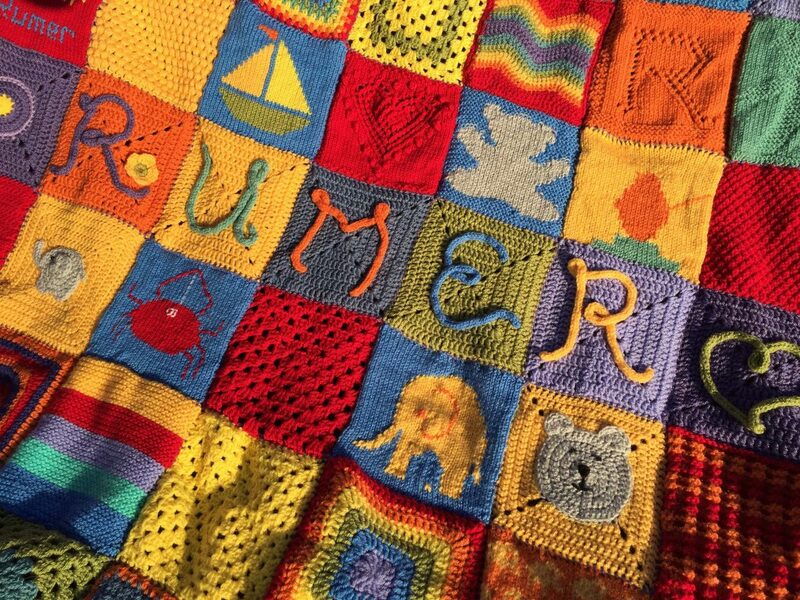 We received Rumer’s blanket on Friday and we just wanted to say thank you so very much. It is beautiful and it made me cry. The rainbows just like her blanket, the elephants after her suits. Incy Wincy spider, the morning town train, the boat and the grey bear including one with his white bow tie, so lovely. We will treasure it. This is a picture of Rumer’s very new brother Sage on Rumer’s blanket.